Book, paperback, 327 pages - 24 pages more in comparison to previous volume! Independent reviews: " I think the Informants becoming relevant again, especially if its upward trend continues. Recommended to ambitious players rated 2000 and up, correspondence players and theory lovers in general." By Denis Monokoussos.
" Overall, it makes for excellent improvements. I welcome Chess Informant back as a first-class yearbook and hope a new generation of chess players will embrace it as much as previous generations have. Good job Belgrade!" By Karsten Hansen. The present World Champion Vishy Anand in this volume joins a force of more than seventy prominent grandmasters, citizens from thirty-two countries, who analyze a total of 321 games and 387 game fragments. Grandmaster Michael Roiz, who analyzes six of his games for Chess Informant 110, called Informant "the last human chess book on earth." Meaning that the focus is on good old human logic – on those moves that chess players consider as possible options during the game – rather than on computer generated variations. It goes without saying that chess players utilize contemporary technology to check their calculations; however, it is the players who sign their names to the game. We dare to say that Informant is closest to the idea of an "open source project" among similar publications. • The section "The Excellent Move" presents aesthetically pleasing and charming positions that do not fit the strict definition of beginning with a sacrifice for inclusion in our Combinations section. Beyond the collection of annotated games and standard columns – which includes the best games and most important theoretical novelties from the previous volume, and sections of chess studies, combinations, and endings – the "Modern Chess Theory" column, presented in encyclopedic style, presents surveys of three variations: B66 Sicilian Defense, Richter-Rauzer Attack; C65 Ruy Lopez, Berlin Defense; and C95 Ruy Lopez, Breyer Variation. The best creation of Sergey Karjakin is presented in this volume as well. 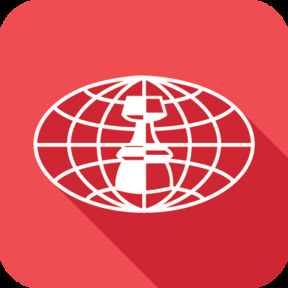 Chess Informant 110 brings together a thoroughly refined selection of 321 annotated games and 388 accompanying game fragments from September - December 2010. Featuring games from Shanghai/Bilbao, Khanty-Mansiysk (ol), Plovdiv (European Club Cup), Nanjing, Hoogeveen, Bastia/Ajaccio (rapid), Lubbock, Moscow (Tal Memorial), Belgorod (Russian Cup), Guangzhou (Asian Team Championships), Wolvega, Antakya (Women's World Championship), London, Russia (ch), Reggio Emilia, etc.